Table XI's podcast about building software to develop better careers, companies, and communities. The Tech Done Right podcast is a show by and for people who care about what they build. We don't just build software, we build teams, companies, careers, and communities. Each episode features host Noel Rappin talking to interesting people in the tech community about building something the right way. We’re not just going to give you our thoughts on the topic, but tools, processes, or references that you can use immediately to build better software and communities. What makes a code base go bad and become "Legacy Code"? Can teams avoid writing bad code? 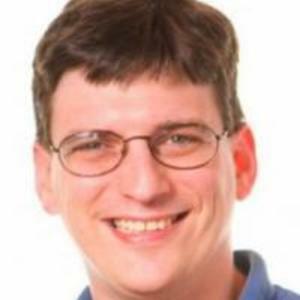 Michael Feathers, author of Working Effectively With Legacy Code joins Tech Done Right to talk about technical debt, how communication can prevent bad coding practices, why coding problems are never just about code, and what it's like to go around the world seeing the worst code messes ever written. Do you have a product that needs improvement, or a process to define? Is your team looking for a way to generate and test new ideas quickly? The Design Sprint process, created at Google, is a structured way to explore a problem, create a solution, and get user feedback, all in five days or less. Join Kai Haley (@kaihaley), who teaches sprint facilitation at Google, and Zeke Binion (@ebinion), who has run many sprints, as they show Noel Rappin (@noelrap) how to use Design Sprints. How can you manage a social media site to maximize community and make all contributors feel safe? 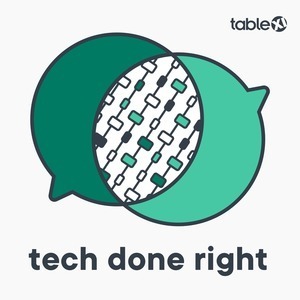 Coraline Ada Ehmke (@CoralineAda), from GitHub's Community and Safety Team, and Yana Carstens (@YanaCarstens), a Senior UX designer with Table XI, join Noel on this episode of Tech Done Right. We discuss tools for allowing users more control over their social media environment and community, and how to use personas in design as a way to understand user's goals and guide them toward positive community actions. How can we use software to build better countries? Our guest, Andy Slavitt (@aslavitt), helps us answer by telling us what he learned leading the recovery effort on Healthcare.gov in 2013 and 2014. Andy will talk about the 6,000 defect backlog he inherited when he took over the system, how it got worse before it got better and why it took a culture shift to really improve things. Even if you can't call the White House to berate underperforming contractors, you'll be able to learn how to run a rescue project under monumental pressure. Sam Phippen, Justin Searls, and Noel Rappin spend this episode talking about the value of test-driven development (TDD) as well as its cost. They discuss the kinds of problems that developers are likely to have after they learn TDD and attempt to apply it to a large application. Learn why Rails is both great and terrible for automated testing, and how testing can influence the structure of your code. Allison McMillan (@allie_p) and Bradley Schaefer (@soulcutter) talk about remote work in the age of Slack. What makes a good remote worker, or a good remote working team? How can you support more junior team members who want to work remotely? How do you email cake to remote workers on launch celebration day? How can you improve code review for remote workers? Brandon Hays and Pete Brooks join the Tech Done Right podcast to discuss career development. We'll discuss career development questions like: What makes somebody a senior developer? How do you acquire senior developer skills? What can you do to prepare yourself for a lifetime career and ensure that you are properly valued? We talk about the role that trust has in building teams, and how improv games can help build that trust and improve the way you deliver feedback. We are joined by guests Jessie Shternshus, founder of The Improv Effect and Mark Rickmeier, CEO of Table XI. This week, we have Ed LaFoy, who is Table XI’s Director of Mobile Development. Table XI’s mobile team does amazing work and uses a lot of external tools for testing, interface design, code quality, and beyond. If you are a web developer and looking to get a sense of how to match parts of your developer experience, listen to this interview. If you are a mobile developer, and you are having some developer pain in those areas, listen to this interview.